Methi Muthia is all-time favorite Gujarati tea-time healthy snack. 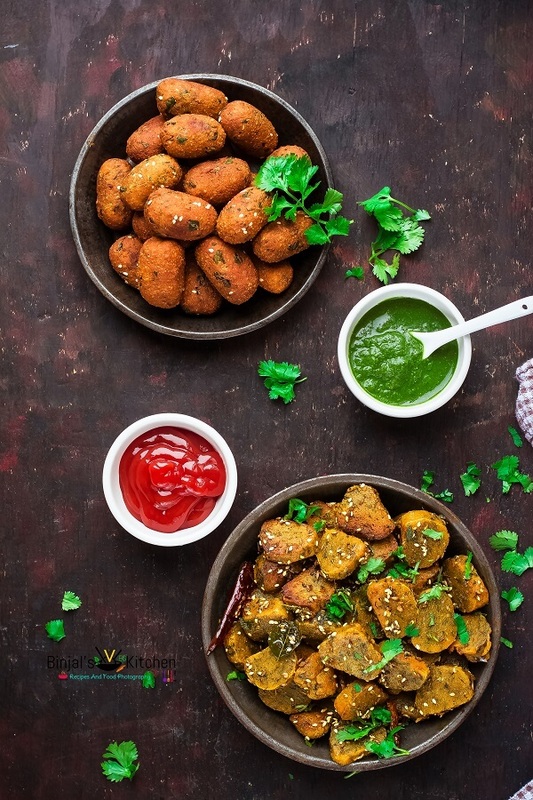 Methi Muthia is prepare in a two way, either steamed or fried, and it is equally tasty either way. Methi Muthia is made from fenugreek leaves, chickpeas flour and whole wheat flour. Methi is one of the green, which available almost whole year. It is a tasty and healthy dish that can be eaten with relish by diabetics. This dish is supposed to be good for keeping bowel movement regular, because it includes fenugreek. 1. Wash and Clean the Methi Leaves then Chop. 2. 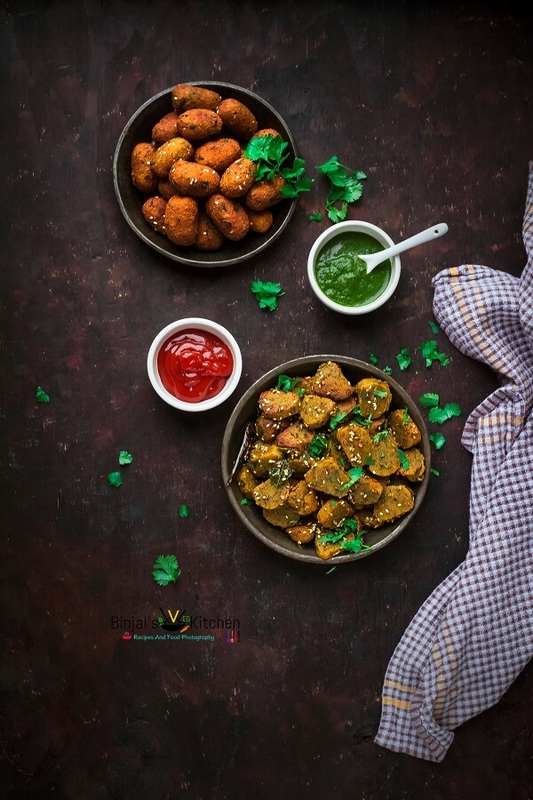 Take a large mixing bowl, add Besan, wheat flour, salt, sugar, sesame seeds, red chili powder, turmeric powder, green chili-ginger paste, carom seeds, semolina and mix well. Now add oil and again mix it well. 3. Add chopped Methi, yogurt or lemon juice, mix with your hand and make sticky but semi stiff dough, use water as required. 1. Apply little oil on you hand palm, take a half of dough and make sausage shaped rolls from it, then place them on greased tray. 2. Boil the 1-2 cups water in steamer, then steam the rolls for 15-20 minutes. 3. Check them by inserting toothpick or knife, it should come out well, means done. 4. Remove from the steamer and let it be cool down, and then cut into slices. 5. Heat oil into the pan for tempering, add mustard seeds, sesame seeds, pinch of asafoetida and curry leaves. 6. Add sliced Methi Muthia and sauté for few minutes on medium flame. Add chopped coriander leaves and serve with chutney or ketchup. 1. Apply oil on you palm and make small-small cylinder shaped rolls from remaining dough. 2. Heat the oil in a deep pan, fry Muthia on medium flame till all side becomes golden brown. 3. Remove on paper towel, fried Muthia is ready to serve any time with tea or as a snack. • Replace yogurt by lemon juice for vegan recipe. • You can use other flours in dough like Bajara (Millet), Makai (Maize). • Muthia can be stored in a refrigerator for 2-3 days. • You can use fried Muthia in a different kind of subji like Undhiyu. Methi Muthia is all-time favorite Gujarati tea-time healthy snack. 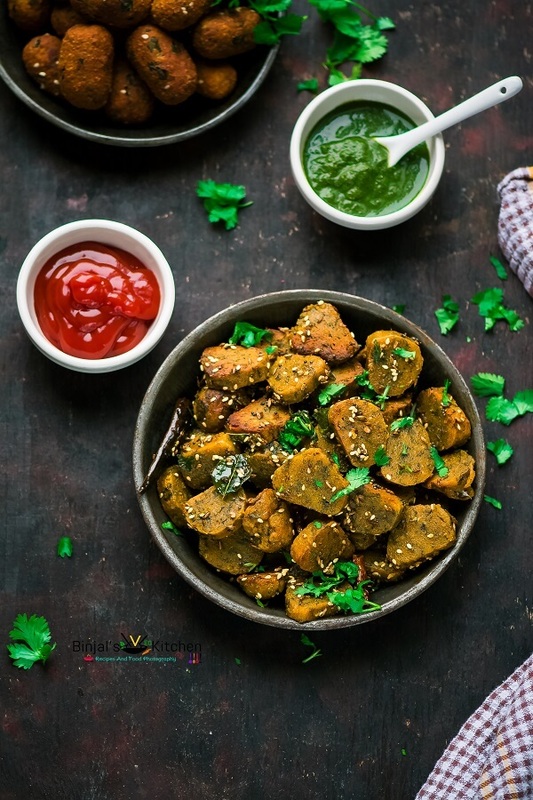 Methi Muthia is prepare in a two way, either steamed or fried, and it is equally tasty either way. 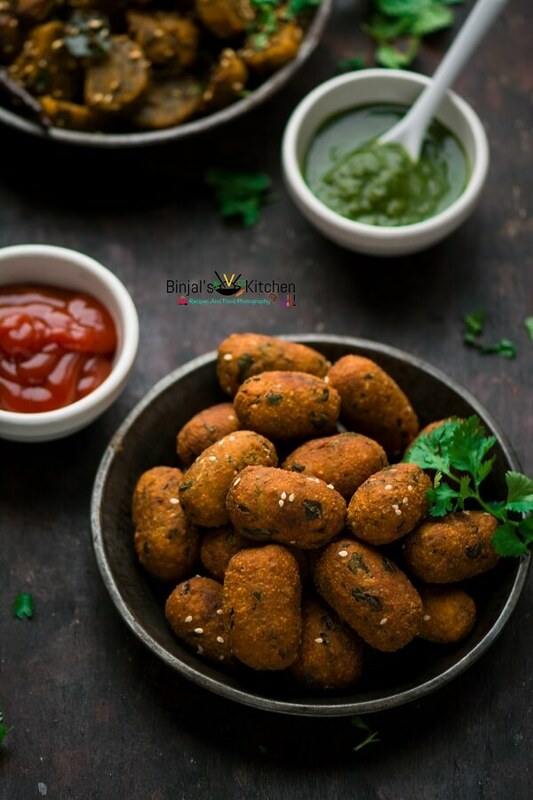 Methi Muthia is made from fenugreek leaves, chickpeas flour and whole wheat flour. Wash and Clean the Methi Leaves then Chop. Take a large mixing bowl, add Besan, wheat flour, salt, sugar, sesame seeds, red chili powder, turmeric powder, green chili-ginger paste, carom seeds, semolina and mix well. Now add oil and again mix it well. Add chopped Methi, yogurt or lemon juice, mix with your hand and make sticky but semi stiff dough, use water as required. Apply little oil on you hand palm, take a half of dough and make sausage shaped rolls from it, then place them on greased tray. Boil the 1-2 cups water in steamer, then steam the rolls for 15-20 minutes. Check them by inserting toothpick or knife, it should come out well, means done. Remove from the steamer and let it be cool down, and then cut into slices. Heat oil into the pan for tempering, add mustard seeds, sesame seeds, pinch of asafoetida and curry leaves. Add sliced Methi Muthia and sauté for few minutes on medium flame. Add chopped coriander leaves and serve with chutney or ketchup. Apply oil on you palm and make small-small cylinder shaped rolls from remaining dough. Heat the oil in a deep pan, fry Muthia on medium flame till all side becomes golden brown. Remove on paper towel, fried Muthia is ready to serve any time with tea or as a snack. Amazing n very easy receipes….luv ur way of cooking n presenting.. In garlic bread instead of parsley cn v use corriander or mint or any other thing as parsley is nt readily available. Very nice blog! Cool recipes! Keep it up! wow…never heard of this … is it taste like pakoda? thnx its more tasty then pakoda! try this i m sure you will love!